I got a little confused about some behavior today and finally realized my mistake so thought I would share it. This mostly happens in demo apps that I’m building that are not using ASP.NET Core. I also have been using the logging factory a lot. After defining it, I also configure it. I hadn’t thought much about where I was placig it so added it in randomly. Then I added in some tests to had to avoid the SQLite provider if the InMemory provider was already configured, so I wrapped the UseSqlite method with a check to see if the options builder was already configured. But my logic wasn’t working. I was running some migrations but they were suddenly not recognizing the UseSqlite method. I’ve used this pattern so many times. It took me a while to realize what was going on. The UseLoggerFactory is a configuration! I just had to move the UseLoggerFactory logic after the IsConfigured check and all was well. This is one of those dumb things that seems so silly you wouldn’t imagine someone else would make such a mistake. But since it bit me, I thought it was worth sharing mostly for the sake of the next coder who is trying to solve the same problem. I’ve recently published my 19th course on Pluralsight.com: Entity Framework Core 2: Getting Started. It’s 2hrs 40 minutes long and focuses on the basics. This is using EF Core 2.0.1 in Visual Studio 2017. 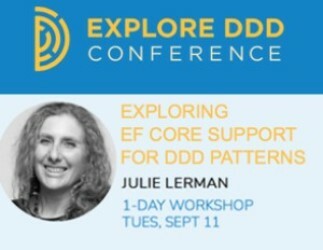 Future plans: I’ve begun working on an intermediate level course to follow up and have others in the pipeline…such as a course to cover features of EF Core 2.1 when it gets released (I will wait until it has RTMd for stability) and other advanced topics. I am also planning to do a cross-platform version using VS Code on macOS because that’s my fave these days. 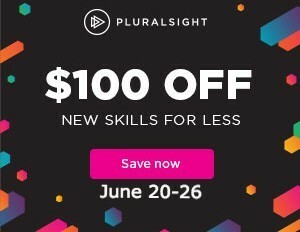 If you are not a Pluralsight subscriber, send me a note and I can give you a 30-day trial so you can watch the course. Be warned: the trial is akin to a gateway drug to becoming a subscriber. I have had two people that watched my Pluralsight EF Core Getting Started course (which will soon be joined by an EF Core 2: Getting Started course) ask the same question, which mystified me at first. The were running migrations commands which caused the project to compile, but the commands did not do anything. For example, add-migration didn’t add a migration file. get-dbcontext did not return any information. The most curious part was there was no error message! I was able to duplicate the problem. With EF6 it was possible to use migrations from a class library with no exe project in sight. EF Core migrations can run from a .NET Framework or .NET Core project but not .NET Standard. It needs a runtime. A common workaround is that even if you haven’t gotten to the UI part of your app yet, to just add a .NET Core console app project to the solution, add the EF Core Design Nuget package to it and set it as the startup project. But it’s still possible to do this without adding in a dummy project. We already knew about the multi-targetting fix which solved an error when you try to run migrations from a .NET Standard library. But even with that fix in place, we were getting the mysterious nothingness. The answer to the question was buried in a GitHub issue and in comments for the Migrations document in the EF Core docs. This same solution solved a problem I was having when trying to use migrations in a UWP app (again, not .NET Core or .NET Framework) that used a separate class library to host its DbContext. I’m writing this blog post to surface the solution until it is resolved. The solution that we used with EF Core 1.0 in order to run migrations from a .NET Standard library was to multi-target for .Net Standard (so you can use the library in a few places) and .NET Core (so you can run migrations). Notice that the attribute name is now plural and there is a semi-colon between the two SDKs. But there’s one more secret which is not in the documentation. For .NET Standard 2.0 (and EF Core 2.0), you also need to add the following to csproj. Now with the DbContext project set as the startup and ensuring that the package manager console (or command line) are pointing to the same project, your migration commands will work. Thanks to Christopher Moffat who found the solution in the GitHub issues and shared it in the comments on the EF Core Package Manager Console Tools document. Screenshot for Tony ..see my comment in reply to your comment below.